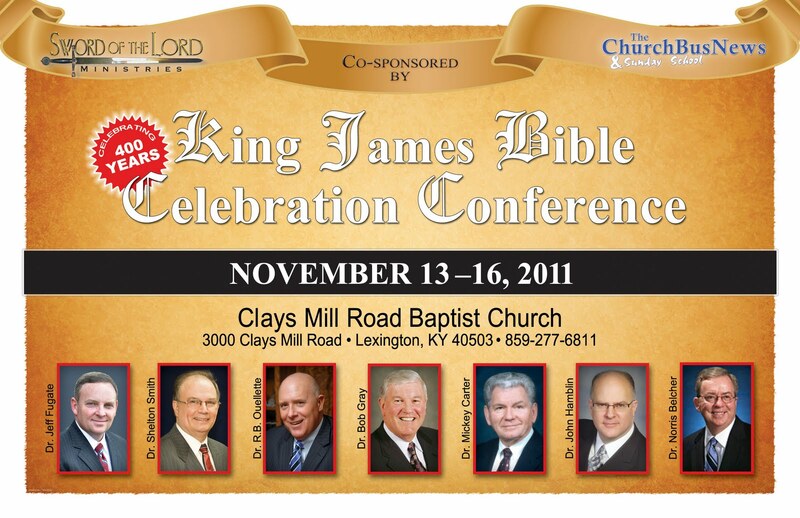 I have always been very selective of the conferences that I would attend in my 38 years of preaching. This is one of those conferences that is an essential in this day of slight of hand verbal trickery of some word smiths on the issue of an inspired English-speaking people’s Bible. There will be no double-talk on this issue at this meeting. These are men who love the Bible and know the Bible. I trust you will take the time to attend and receive clear teaching and preaching on the preserved inspired King James Bible. These men of God have the goods on this issue. This will be a blessed time and a time of learning to be better equipped to teach the next generation what the previous generation gave us. GOTTA LOVE THE KING JAMES BIBLE!